Today, I’ll chip in words of experience of EL-50448 TPMS reset on my Traverse LTZ 2012. – what is TMPS & why do you reset TPMS? The tire pressure monitor system (TPMS) of the Chevrolet Traverse, model years 2007 – 2013, alerts the driver when a large change in the pressure of one tire exists while the vehicle is being driven. The system will also display individual tire pressures and their locations on the driver information center (DIC). 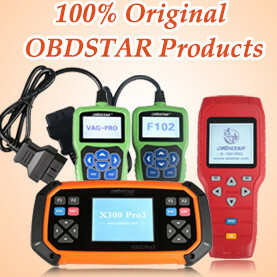 The TPMS uses the engine control module (ECM), body control module (BCM), instrument panel cluster (IPC), DIC, remote control door lock receiver (RCDLR), a radio frequency (RF) transmitting pressure sensor in each wheel/tire assembly, and the serial data circuit to perform the system functions. When the vehicle is stationary, the sensors go into stationary mode. In this mode, the sensors transmit once every 60 minutes to minimize sensor battery consumption. As vehicle speed increases, the sensors go into drive mode, in which they transmit once every 60 seconds. NOTE: The sensor’s pressure accuracy is about 2 psi (14 kPa) at temperatures from 14 degrees Fahrenheit to 158 degrees F (-10 degrees Celsius to 70 degrees C). The RCDLR receives and translates the data contained in each sensor transmission, then sends the tire pressure and tire location data to the DIC. When the TPMS detects a significant loss or gain of tire pressure, a “CHECK TIRE PRESSURE” message will appear on the DIC, and the low tire pressure warning indicator is displayed on the IPC. The RCDLR has the ability to detect malfunctions within the TPMS. Any malfunctions detected will cause the DIC to display a “SERVICE TIRE MONITOR” warning message. – when do you reset TPMS? When the TPMS detects a significant loss of tire pressure, the “CHECK TIRE PRESSURE” message is displayed on the DIC and the low tire pressure indicator is displayed on the instrument panel. Both the message and indicator can be cleared by adjusting the tires to their recommended pressures and driving the vehicle above 25 mph (40 km/h) for at least two minutes. If the warning indicators are still on or the display shows dashes instead of a value, there is a problem in the TPMS. The RCDLR has the ability to detect malfunctions within the TPMS. Any malfunctions detected will cause the DIC to display a “SERVICE TIRE MONITOR” warning message. See appropriate manufacturer service information. Remember when you could relearn the tire sensors with nothing more that the DIC and a user’s manual? Well, apparently GM decided that was too much freedom for the owner of one of their vehicles so what was their solution? Make it so the dealer would have to be consulted- and quite possibly for a fee. Well, my troubles are over! 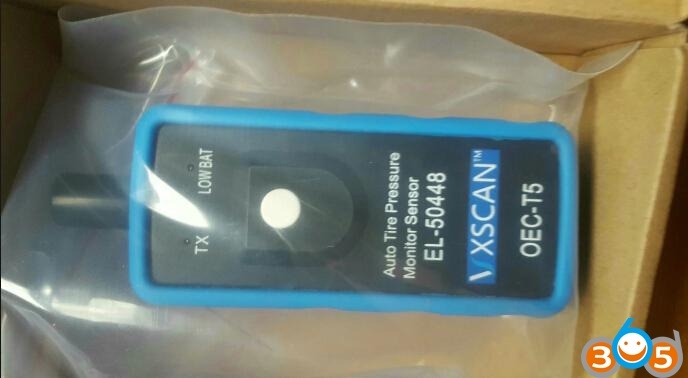 I used this on a 2012 Chevrolet Traverse LTZ and following the user’s manual, the horn beeped at the appropriate times and the tires were sensing in the proper position (as tested by releasing air to see a visible change in the DIC). This may seem trivial- until you have a small non-visible leak on a tire and right front is actually left rear! This was my procedure for those who want to know, and as outlined by the user’s manual starting on page 10-46. 2. Turn the ignition to the ON/RUN position with the engine off (the second click before the cranking spot but one click after the acc). 3. Press the Remote Keyless Entry (your key Fob) Transmitter’s LOCK and UNLOCK simultaneously for about five seconds. The horn will beep twice to signal the receiver is in relearn mode and TIRE LEARNING ACTIVE will be displayed on the DIC. 4. Start with the driver side front tire. 5. Place the relearn tool against the tire sidewall, near the valve stem. Then press the button of your very handy dandy VXScan EL-50448 (after you install a 9-volt battery of course) to activate the TPMS sensor. A horn beep confirms the sensor ID code has been matched to the tire and wheel position. 6. Proceed to the passenger side front tire and repeat the procedure in step 5. 7. Proceed to the passenger side rear tire and repeat the procedure in step 5. 8. Proceed to the driver side rear tire and repeat the procedure in step 5. The horn will beep two times to indicate the sensor ID code has been matched to the driver side rear tire and the TPMS sensor matching process is no longer active. The TIRE LEARNING ACTIVE message on the DIC goes off. 9. Turn the ignition to LOCK/OFF. 10. Set all four tires to the recommended air pressure levels as indicated on the Tire and Loading Information label. 11. Enjoy your liberation from the GM dealership! This entry was posted in Car diagnostic tool and tagged EL-50448, EL-50448 tpms tool, tpms reset on October 17, 2018 by obd365.